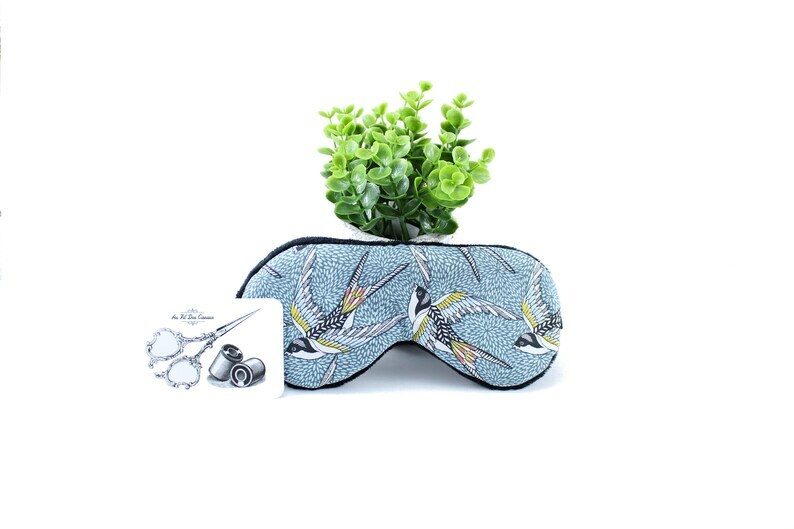 Sleeping mask is an essential accessory for the light gently! It is made of blue, yellow, orange, black and white cotton patterned swallows. The softness of the eyes, it is soft black fabric. The elastic is satin black. It is padded for extra thickness and comfort.